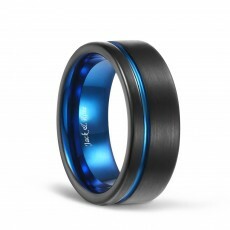 This classic tungsten carbide band features brushed shank and a brightly polished blue / black underside for comfortable wear, which suit both men and women. 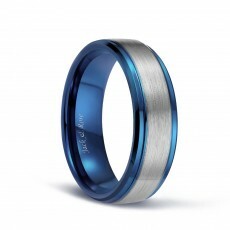 With its luxury look, it is ideal for wedding band, wedding anniversary or a perfect match with your other luxury jewelry. 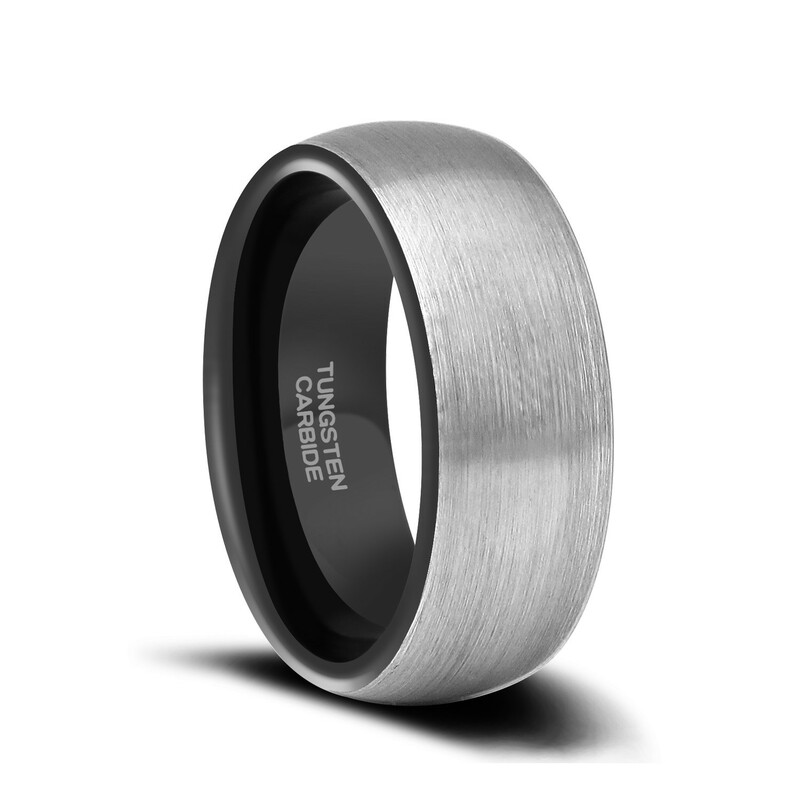 Our excellent craftsmanship guarantees that the ring is very comfortable to wear. 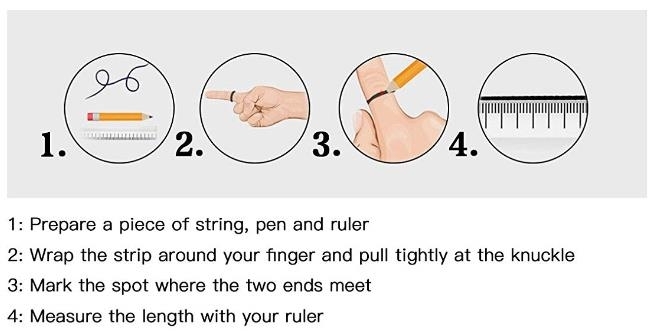 It's a very nice ring. Fast shipping! My husband loves it! Beautiful ring. Very lightweight and comfortable. My husband loves it. 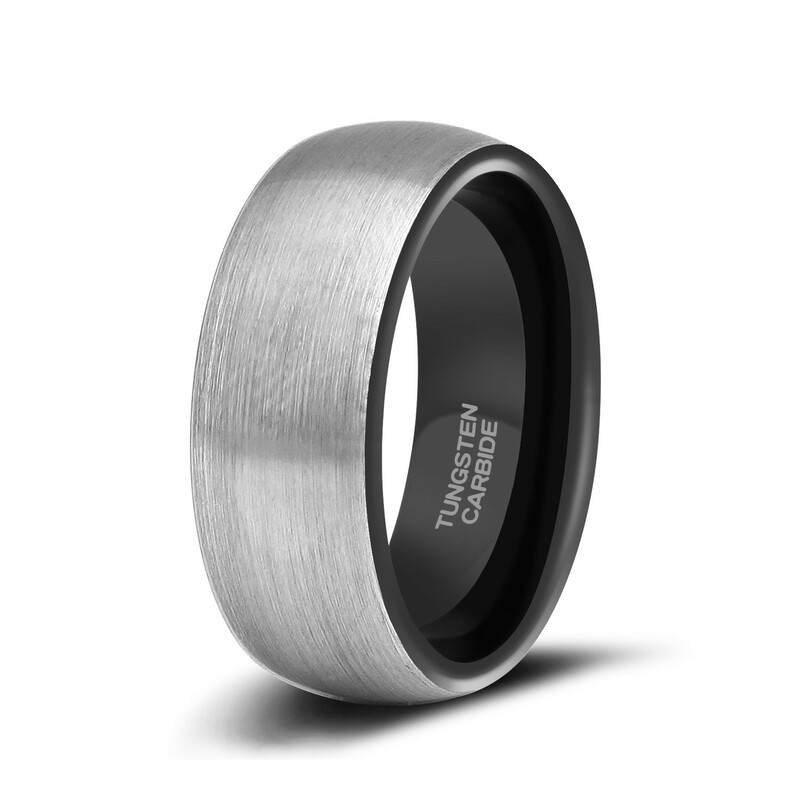 Substantial ring, but still feels light when wearing. Ring is on the bigger side, but other than that it looks good and is durable. The band fit a little too big. 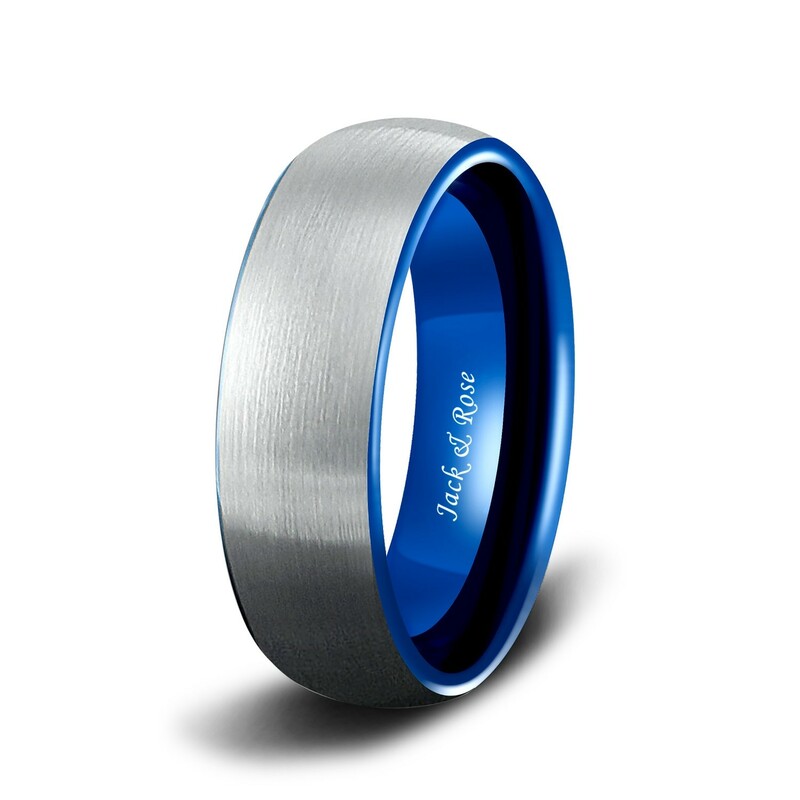 I will have to get it resized, but overall I am pleased with the design and color. 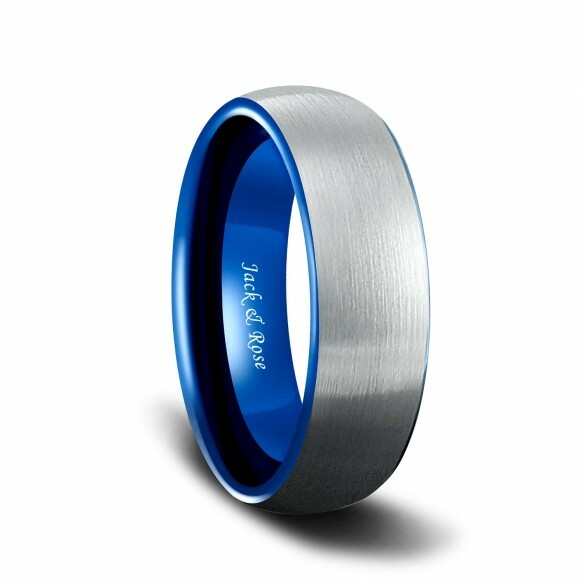 Hello, our size is standard, you can go to your local jeweler to measure your finger size and order. Honey, there's no break point without this ring. 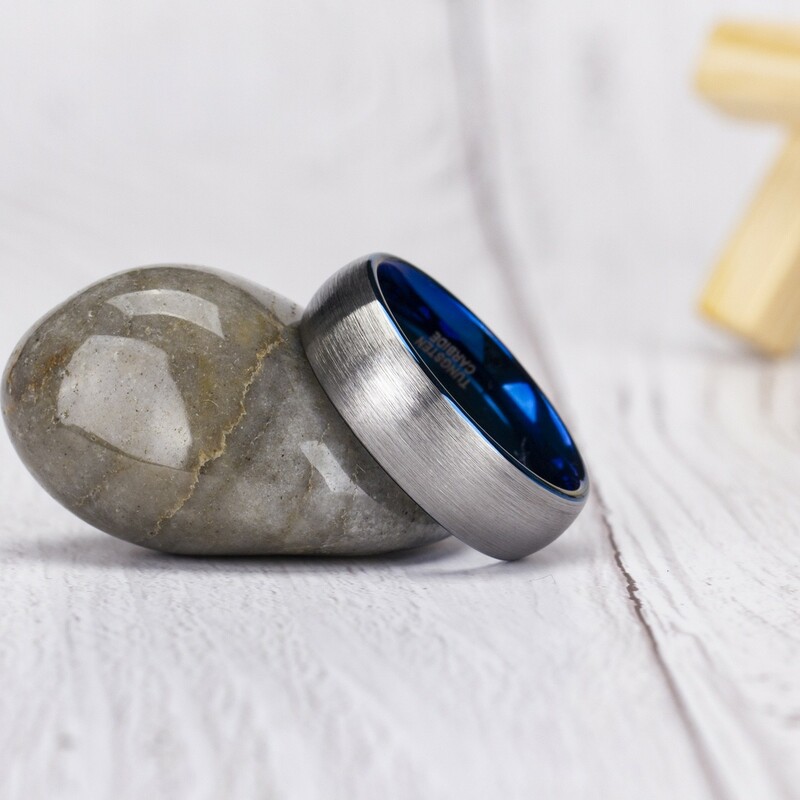 But tungsten is hard, but it's also brittle when it comes into contact with hard objects, and it's best to keep the ring free from hard objects. Honey, if size 10 is a little too big for you, you can buy 9.5. Thank you. Have a nice day! Dear, all our products are guaranteed for life, but please keep them in good condition when wearing. We are not responsible for any man-made damage. Please understand.